I recently took a trip to Burlington, Vermont to enlist the services of the talented and well established luthier, Joseph Cleary. I had some issues with my current mandolin that I perform with, so I made a date to consult with him on how to deal with the issues. I had met Joe previously when he came to the Addition Studio to track some violin on Steve Light’s recording project, “Banjo and Friends.” I was impressed with the tracks Joe contributed to the album, as well as the violin that he built and used on the session. The first thing that impressed me about Joe’s shop was the organization of workspace and tools. Being somewhat obsessive with my own tools of the trade, I could tell right off that this was a serious shop set up for efficiency and the certainty of procedure! After a brief tour of the shop, Joe carefully inspected my mandolin and patiently listened to what my concerns were. Only after careful consideration did we talked about how to proceed. I left that morning with a calm feeling that my mandolin was in very good hands. 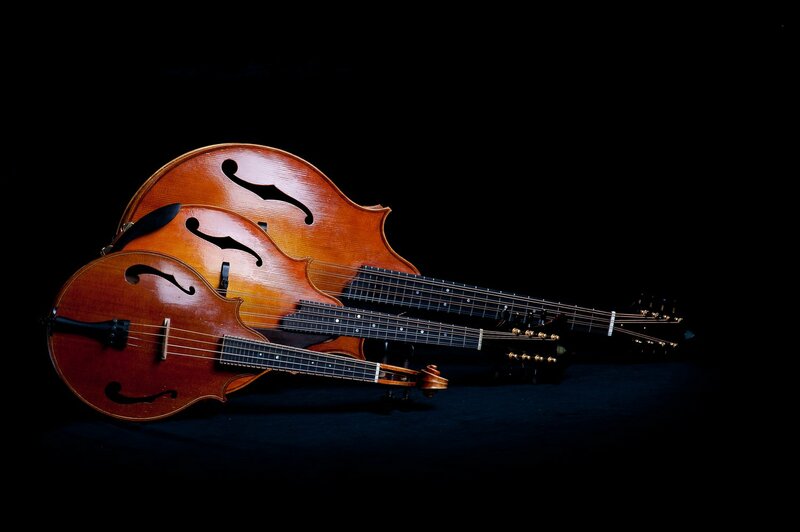 When returning to pick up my mandolin, I had a quiet confidence that all would be well upon return. That sense of optimism was only reinforced with just a few minutes of playing. Joe did wonders with some difficult issues, and I was happy to have my mandolin back with the instrument having great playing action and sounding like its old self once again. Thanks Joe! 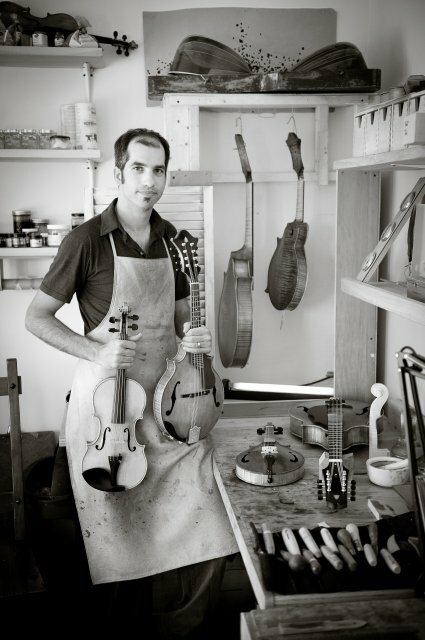 I will let Joe’s website speak for itself, but any mandolin or violin player should check it out. Mandolin players take note: The unique to mandolin but traditional and time tested overhanging plate violin construction that Joe uses for his mandolin models are well worth looking at, and, better yet, listening to. Nice to see that real craftsmanship still exists this day and age, very nice. 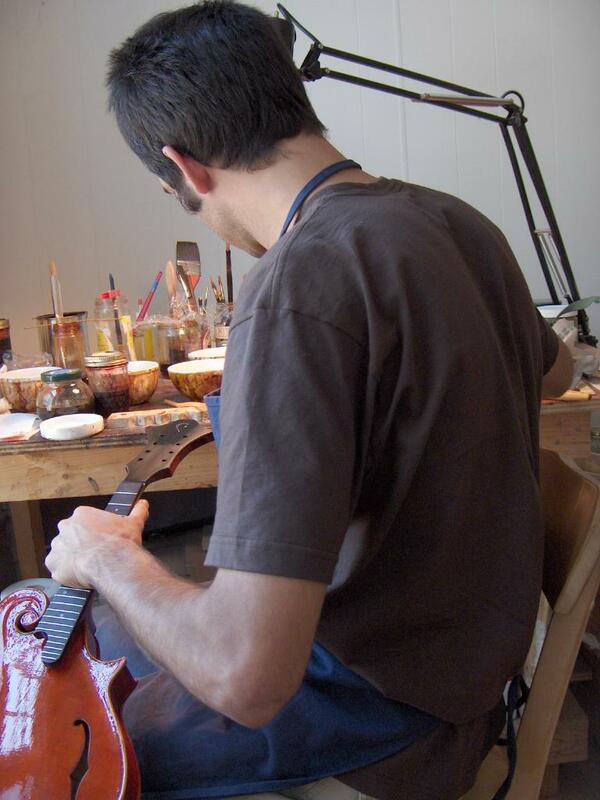 I agree, we are living in a time where there are some wonderful small workshops and individuals crafting some beautiful instruments and the internet has allowed us accessibility to their creations….